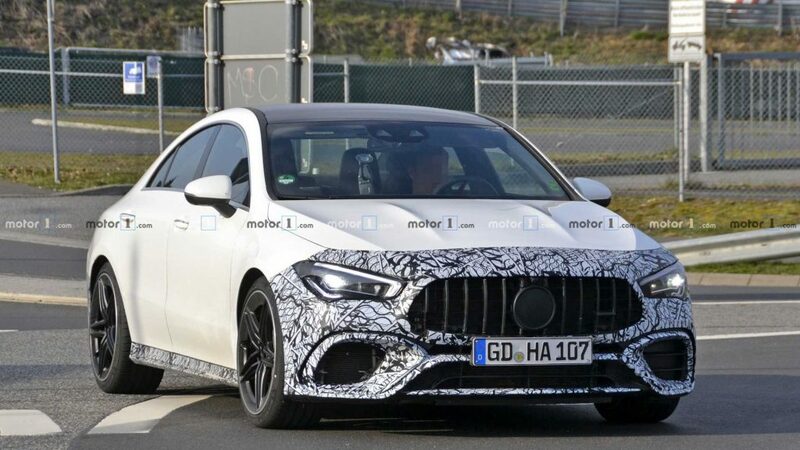 Mercedes-AMG has started teasing the new A 45 and now spies have managed to scoop some fresh shots of the hyper hatch’s swoopy sedan sibling. 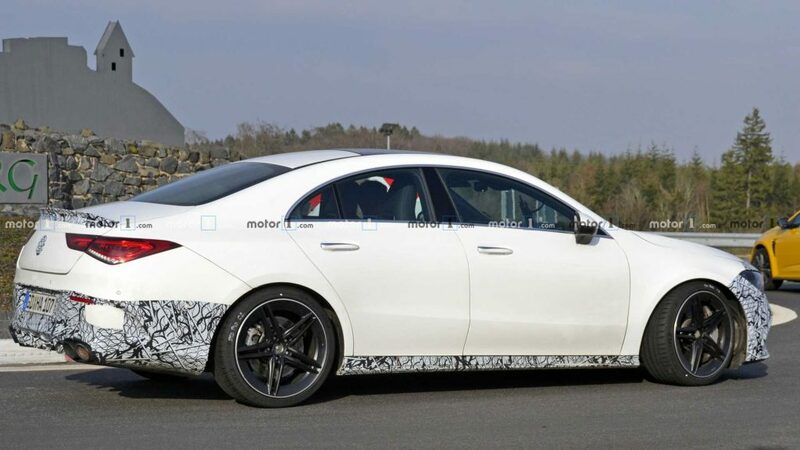 Carrying less camouflage than ever before, this is by far our best look yet at the second-generation CLA 45. You can basically see everything as even though there’s still some swirly disguise here and there, the layer is so thin it practically reveals the production-ready design. From the Panamericana grille up front to the quad exhausts at the back, this is without a shadow of a doubt the full-fat 45 model. 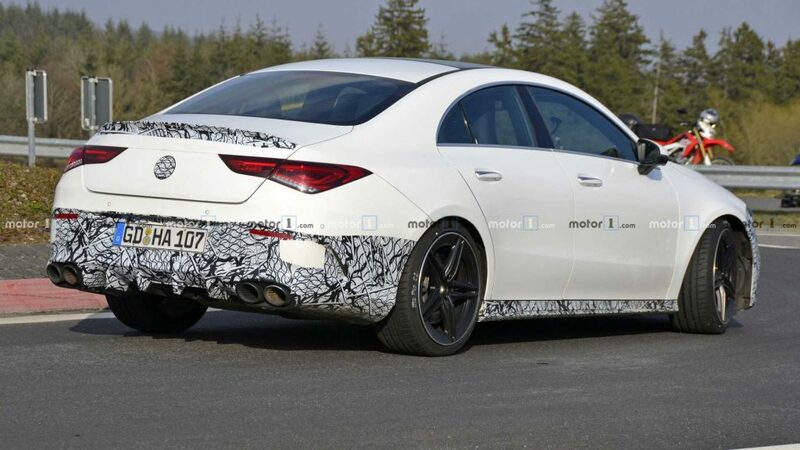 There are other clues pointing towards the direction of the flagship model, such as the generously sized trunk lid spoiler, rear diffuser, AMG-branded wheels, and those large air intakes up front. 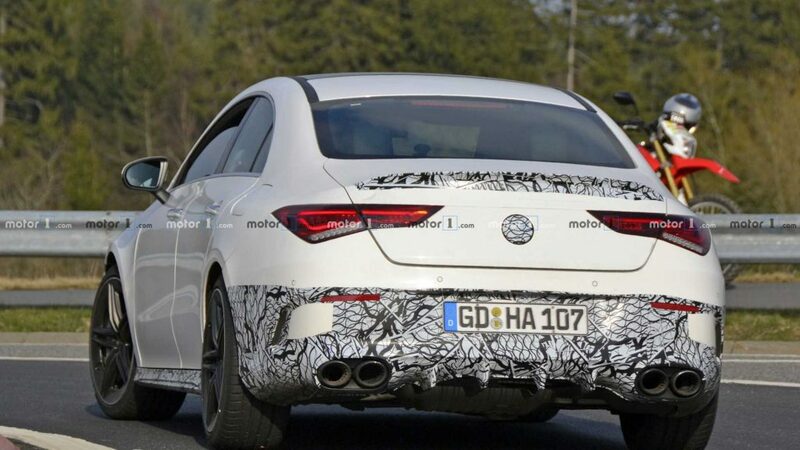 The prototype looks as if it’s glued to the road thanks to a stiffer suspension setup reserved to the 45 variant. 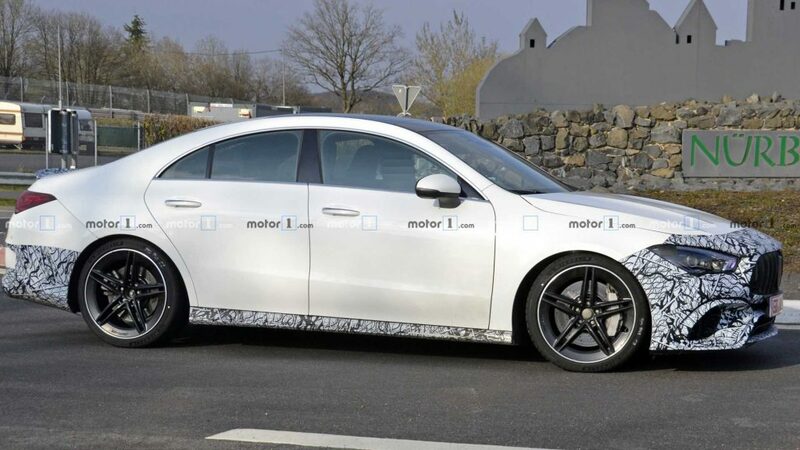 The manufacturer has not told us what will be powering these hot new creations but it is almost definitely the same 2.0-litre turbocharged unit set to debut in the A 45. It will be good for 383 horsepower (286 kW) in the base version and 416 hp (310 kW) in the hotter S model, with both versions set to use an eight-speed, dual-clutch automatic transmission. The all-wheel-drive 4Matic system will be standard, and at least the S version should have a drift mode.